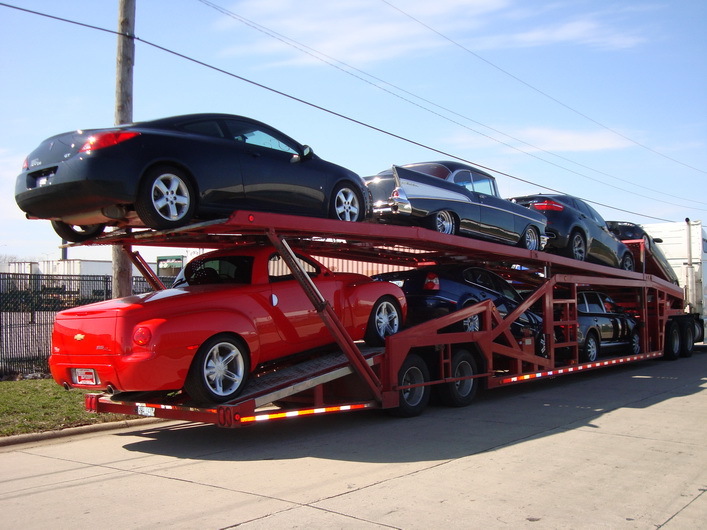 In this section we will show you the different types of Carrier Trucks and Carrier Trailers you can expect to haul your vehicle(s). 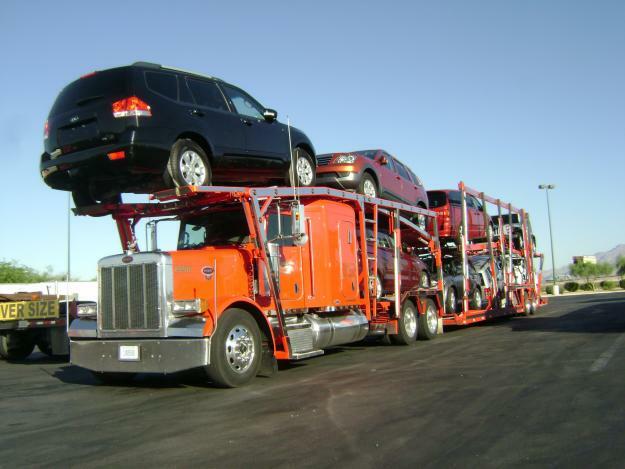 Remember some of these trucks are large so they might need to meet you outside your neighborhood. 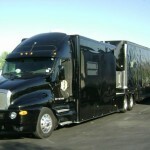 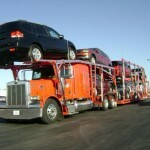 Most trips over 700 miles will be Semi Truck and Carrier Trailer combos. 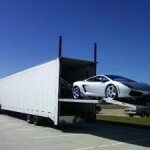 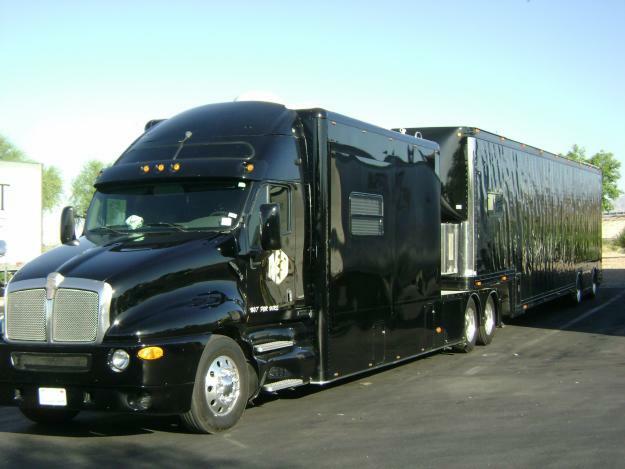 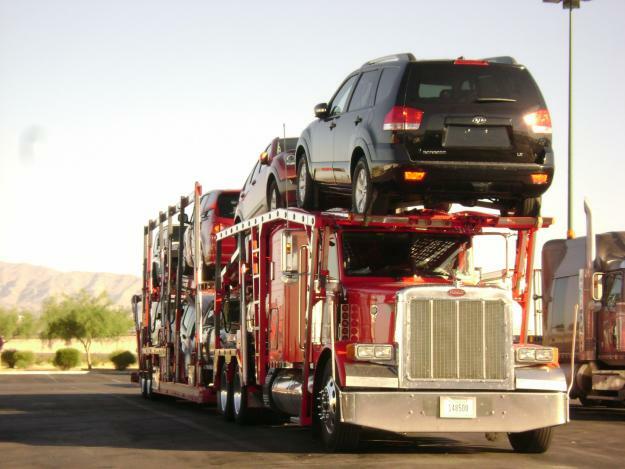 Hauls under the 700 mile range will usually be a smaller Carrier Trailer combo. 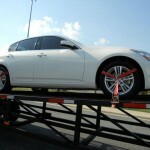 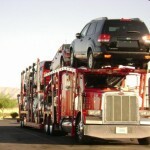 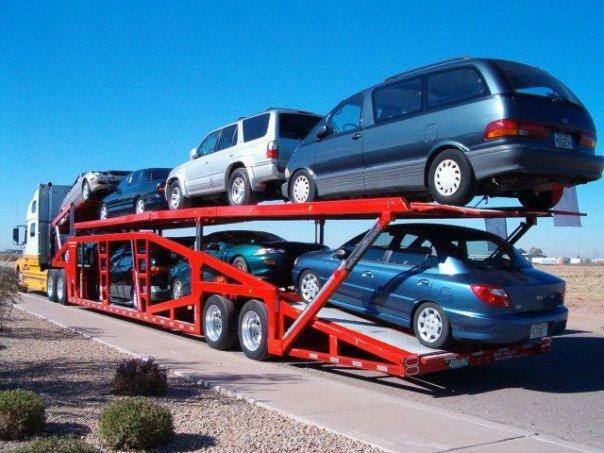 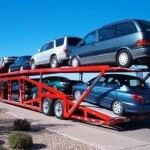 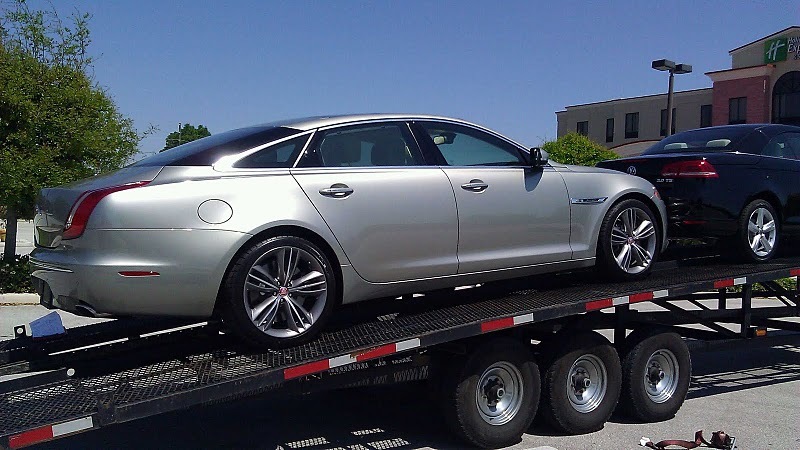 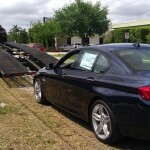 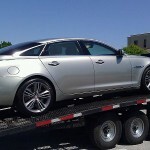 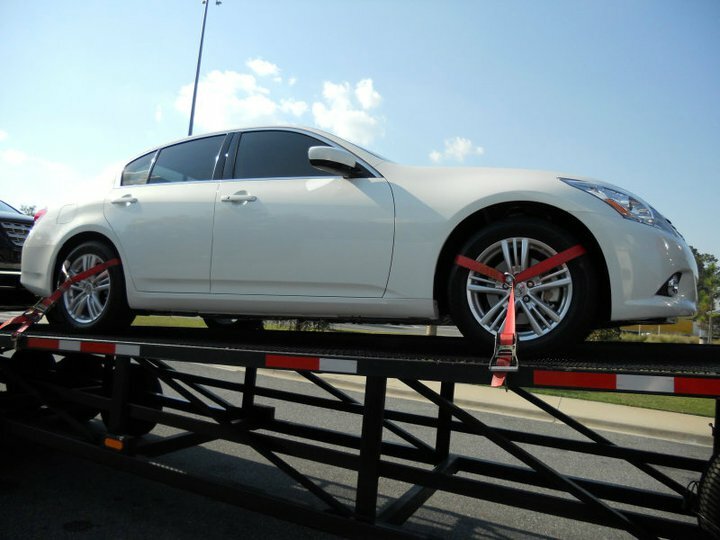 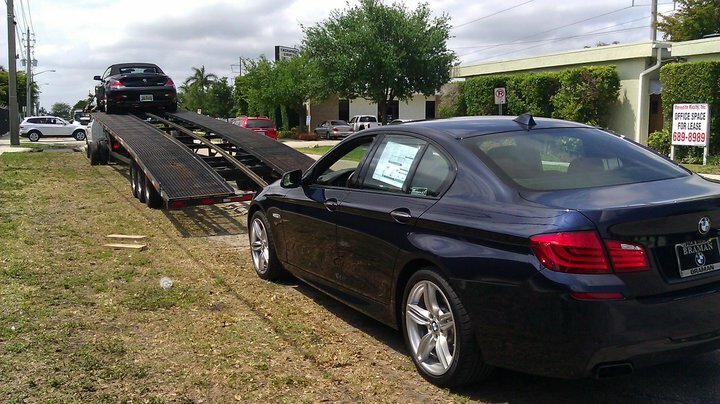 Open 9-11 Car Carrier Trailer: Chain tie-downs and one or more cars will travel at an angle. 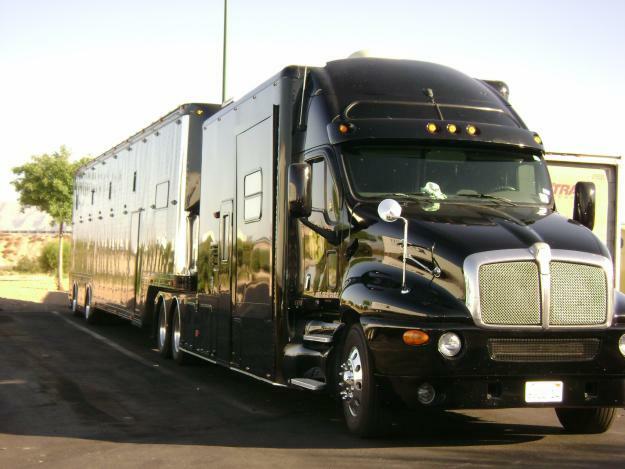 Mostly used for cross-country hauls. 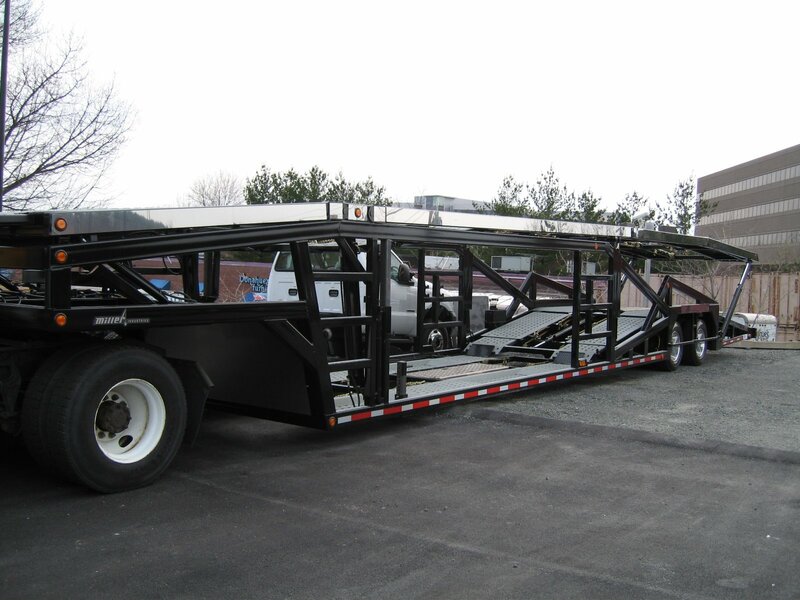 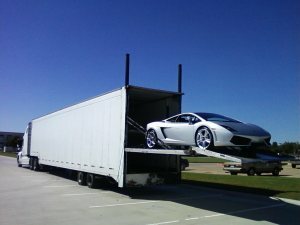 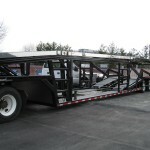 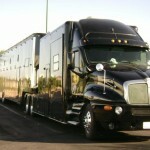 Enclosed Carrier Trailer: Chain and soft tie-downs. 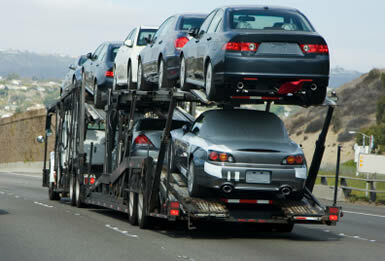 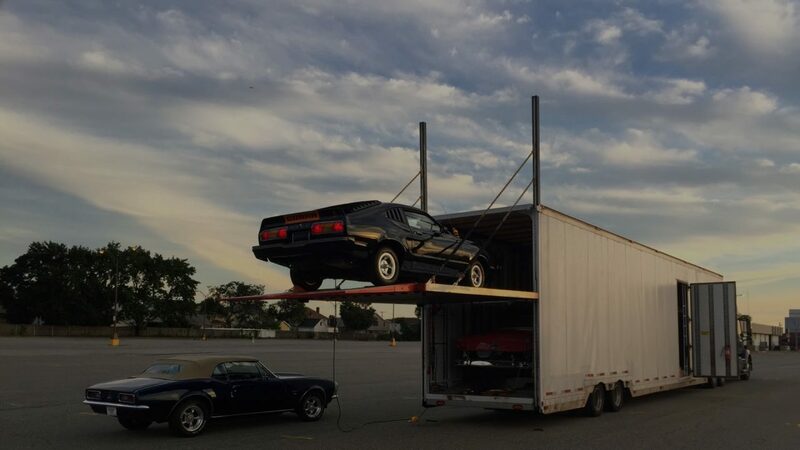 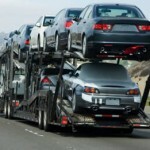 Carrier for exotic cars or vehicles of value.